California's aging oilfields require intensive drilling methods and generate lots of wastewater. In Central California's San Joaquin Valley, a center of the state's agriculture and oil businesses, oil companies in 2013 produced 150 million barrels of oil — and nearly 2 billion barrels of wastewater. Central California leads the country in food production. It's also the main oil-producing base in California, the country's No. 3 oil-and-gas producing state. 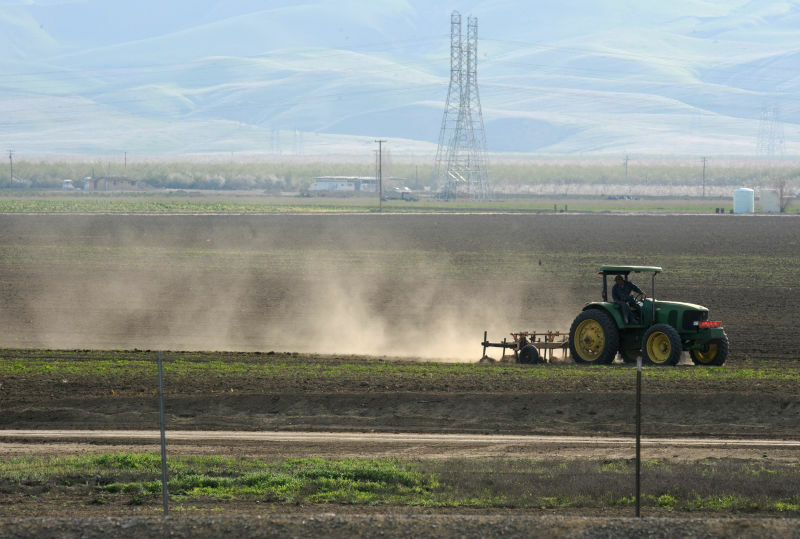 For farmers in California's drought, the question is "where's the water going to come from if you want to maintain agriculture," said Gabriele Ludwig, a representative of Almond Board of California and one of the members of the new panel. The effect of oilfield chemicals on food is "largely unstudied and unknown," says the nonprofit Pacific Institute, which studies water issues. Researchers, for example, don't know the long-term toxicity of up to 80 percent of the hundreds of materials used in oilfield production, Pacific Institute researcher Matthew Heberger told panel members. As of now, with so many unknowns about the hundreds of chemicals involved and their possible impact on crops, "We're not able to answer the public definitely and say there's no problem," said William Stringfellow, a panel member and environmental engineer at the Lawrence Berkeley National Laboratory in Berkeley. The regional water board will use the panel's findings to guide its oversight of the recycling of oilfield wastewater, Rodgers said.